The Mova Globe has a small industrial-strength magnet inside it. This acts as a stabilizer that forces perpetual silent rotation of the globe against the liquid. No batteries or power are needed. Antique beige or blue are available. An opaque or translucent BritePix imprint is available; please specify when ordering. Random samples are not available. Free 24-hour service. 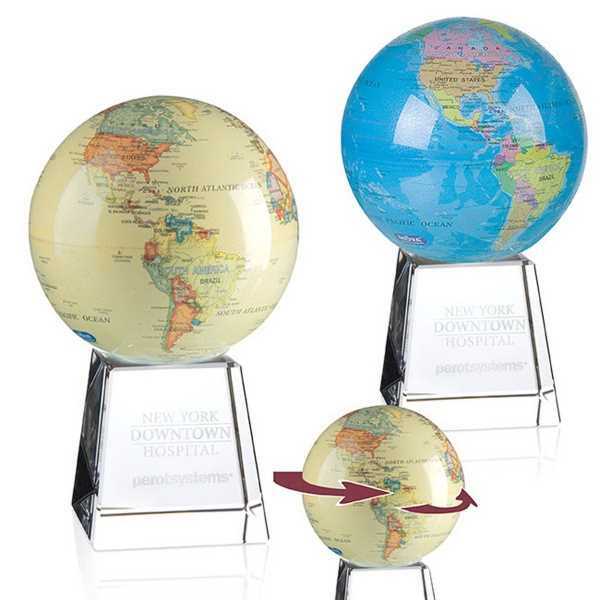 The globe is 4-1/2" diameter, with the base at 3-1/8" W x 3-1/8" H x 3-1/8" D.